Will green bike lanes make the streets safer? 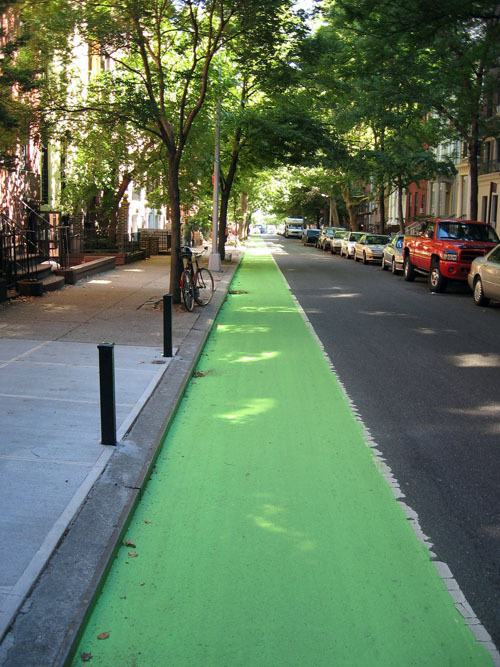 Will colored bike lanes make the streets safer for cyclists? 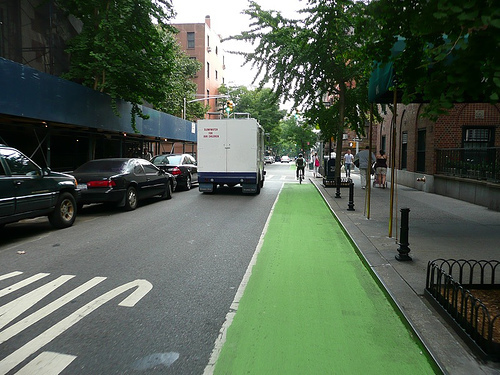 The DOT has painted the bike lane on Henry Street in Brooklyn green to try to find out. tip & top picture from mcbrooklyn.